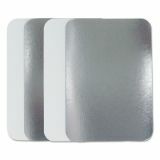 Durable Packaging Flat Board Lids for 1.5 lb Oblong Pans, 500 /Carton - Used for food pans. 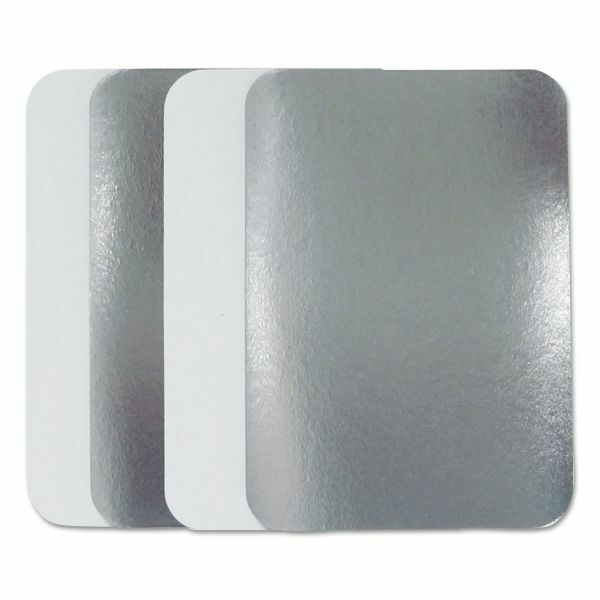 Paper board lids with aluminum bottom. Ideal for takeaways.